Madeline by Ludwig Behelmens is a sweet story about the littlest girl in a boarding school (“an old house in Paris that was covered with vines”) who is brave despite her size. She comes down with appendicitis and faces her hospital stay with the same bravery and imaginative spirit. The sweet illustrations and rhyming narrative are just part of the endearing charm of the short tale. 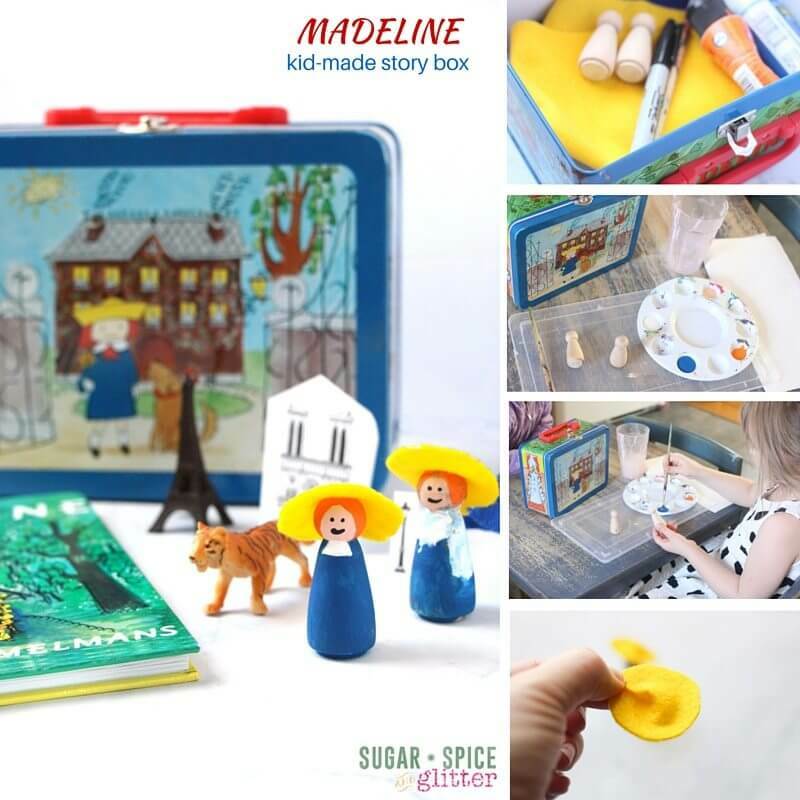 The easy-to-remember storyline also makes it perfect for reenacting or retelling, which is where the Madeline Story Box comes in. This is an awesome, compact little DIY that is perfect for travelling or as a quiet time activity. 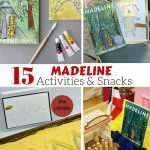 Kids can read (or “read”) the book and then re-enact the story with the props, or create new adventures for Madeline and her friends. 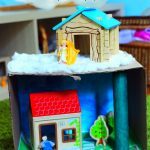 You can include as many details from the book as you’d like, or keep it simple with just the peg dolls and the book – or the peg dolls and the printables. We started off by reading the book together and I surprised Ella with just the craft supplies at first. She loves starting her day off with a craft and having everything ready for her made it possible for me to set her up to paint while I started making breakfast. She used the box to figure out how to paint the dolls – or you could use the book or even print a picture out from the internet. I probably wouldn’t use a tablet unless you had a waterproof case! 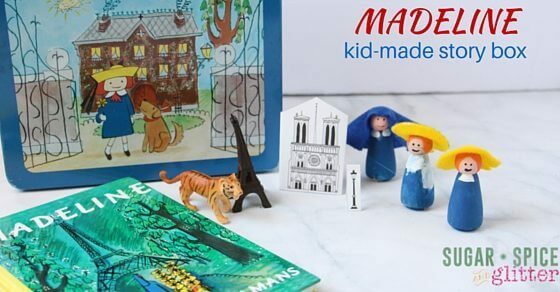 Figuring out how to recreate Madeline – and take a 2D image and recreate it using 3D materials is a wonderful creative exercise that lays a foundation for understanding how to take an image or concept and make it 3D with other materials – like clay, paper mache, etc. I totally have to mention, in the picture above she forgot to blot her paintbrush, which was a great opportunity to show her the trick of cleaning her paintbrush and using it to “wipe off” a mistake. Finding a gentle, non-judgemental way to give tips (“oops, there’s too much water on that paintbrush so it’s dripping, want to see a quick trick? 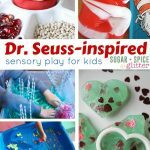 !”) and avoiding the urge to take over can help children feel more encouraged in the creative process and more capable in her skills. 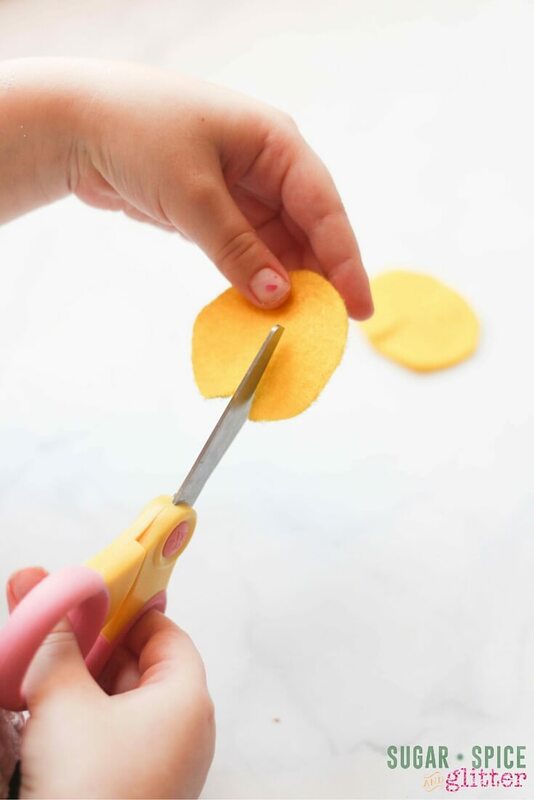 As much as we sometimes use a few more pricey craft supplies, if you’re just starting off with crafting or can be a bit of a perfectionist – it’s good to start with lower priced (or even free) supplies so you don’t get upset or take over the kids’ projects if things don’t really go to plan. I really love how Ella’s peg dolls turned out – but there were moments when they looked like they might just be a muddled mess! 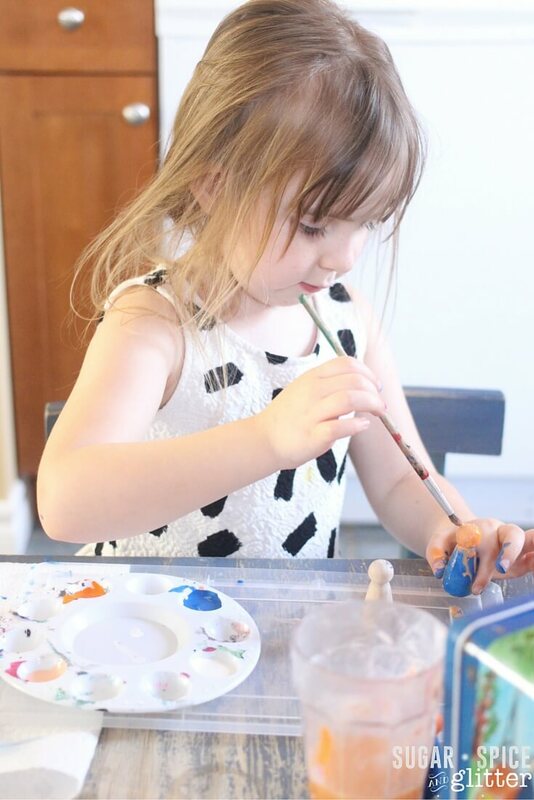 If I had looked upset, or taken over – she wouldn’t have learned anything and she’d be more discouraged the next time we attempted a craft project. Crafting is definitely an insight into our parenting tendencies! To create the Madeline & Miss Clavell peg dolls, we painted our figures, leaving the faces blank, let them dry and then used a pen dipped in black paint to draw on simple faces. We decided to use the felt to make hats – although you can add sequins, bits of yarn for hair – really, whatever you have on hand and think would look fun! To make the hats, Ella traced a circle onto the yellow felt, cut it out and then cut a slit halfway through the circle. She twisted it until she felt it made the same shape as Madeline’s hat, and then I hot glued it in place. She then added a dab of hot glue to the peg doll and we secured the hat on top. For Miss Clavell, she simply cut a rectangle of blue felt and glued it to the top and back of the head for her habit. Next, Ella cut out and folded the Paris landmark printables and gathered a few more props for the story box. I love our homemade story box – and it’s a fun alternative to the store-bought versions we enjoyed when Ella was younger. 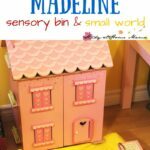 Would you try making a story box with your kids? Which story would your box be based on?